YOKOGAWA has been executing projects with a combination of delivery excellence and smart engineering. The functionality of the new release of CENTUM VP enables convergence of all YOKOGAWA's strengths, providing an exciting environment where innovative methods provide completely new ways of cost saving and value generation. This can be visualized in the way project schedules can be shortened, either by starting later or by possibly enabling an earlier start-up. Class Modules: Utilization of class modules during basic design can result in considerable time savings. This requires a joint effort of owners and YOKOGAWA to make these libraries available to the project teams. In this illustration a very conservative time saving is assumed. Decoupling: The new Network IO enables decoupling of hardware and software. The manufacturing and testing of YOKOGAWA’s standard cabinets can be initiated in parallel to the software detail design and configuration. N-IO loopcheck: As soon as the N-IO cabinets arrive on-site wiring can start up to 3-6 months earlier, and loop check can follow with the FieldMate Validator which validates the loop integrity between from transmitter or valve to the N-IO unit. Removing waste: There is no need for Operator stations and Field Controllers to do loop checking, which prevents time wastage as the control room cooling and power are usually ready in a later stage. Application FAT: The application testing (AFAT) is done with logical IO, without the need to assign hardware IO or Field controllers. The test can be witnessed by the customer from anywhere using secure remote access functions. Flexible Binding: The tested application will be shipped with the operator consoles and field controllers to site, where flexible binding will take place. This work process merges the Validator IO database with the Automation Design Master Database (ADMDB). Any inconsistencies are automatically identified and using the new Management of Change function the ADMDB is updated. The project time savings of decoupling and early loop-check, and the reduce risk of handover slippage can also be utilized by the owner and EPC to plan for an earlier start-up if all other disciplines are ready for it. A later start of the project will deliver great benefits in that the design information can be provided at a later date, resulting in a prevention of change after the project KOM. Once the project has been kicked-off, change can be managed anytime using the new Management change function. The combination of decoupled hardware and software and the early starting of loop-check will reduce risk of handover slippage. The first converging driver of Agile Project Execution value to the customer is Smart Engineering. Smart Engineering has been practiced by YOKOGAWA for many years in all projects and results in customer benefits like predictable engineering without surprises, optimized space utilization including power consumption, weight and cooling. By utilizing secure access technologies we now add the possibility to test from anywhere resulting in reduced travel, more regular validation by customer specialists and better quality of application resulting in less punch items during the Application FAT with a flawless start-up as objective. Virtualization is a technology which is applied in YOKOGAWA projects wherever it is most suitable to provide savings to the customer. In order to minimize customization and preferential engineering, YOKOGAWA is increasingly adopting built-in lifecycle design which results in removing design, configuration and testing time waste throughout the project execution. The second converging driver of Agile Project Execution value to the customer is Delivery Excellence. Delivery Excellence has been based on waterfall type of project management which is still continuing where it is fit for purpose. YOKOGAWA adopts agile project management methodology whenever many changes are expected or where the design of the project is best done in smaller units to test design philosophy or technology. This flexible approach to adopt best practices in execution results in removing waste and reducing engineering surprises which translates in major benefits to the customer. 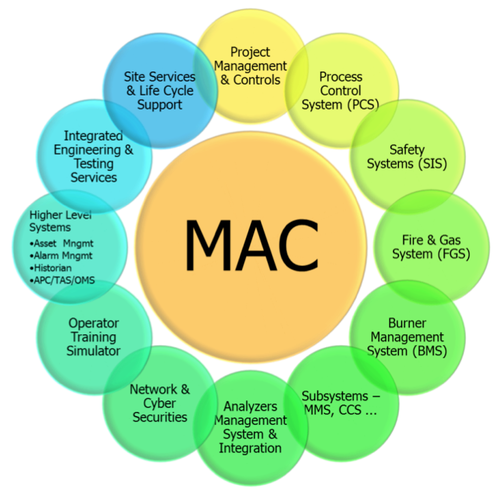 Integration of the total system, including various systems from other vendors is optimized by applying standard Functional Design Specifications. These have been validated in previous projects and updated using the global Knowledge Management work process. Lessons Learned are a key driver of improvement. Waste is further reduced by applying past lessons learned in every new project. This is done by applying the Basic Functional Design toolkit. The third converging driver of Agile Project Execution value to the customer is the new CENTUM VP R6. The platform of the CENTUM VP R6 is released with new technologies developed by YOKOGAWA based on the best of both worlds. Smart IO: Network-IO. The N-IO is designed with fewer components; one single module can configure to support AI/AO/DI/DO. The optional signal conditioner can be plugin to support wide range of I/O signal type. The backplane allows I/O redundancy by design, thus eliminating additional space for redundancy, result in smaller footprint. Automation Design Suite: This suite is created to enable to deliver the new technologies with a sustainable engineering environment including modular design, bulk engineering, Change Management, automatic AS-BUILT document generation and flexible binding. FieldMate Validator: The validator facilitates early completion of field works without requiring the entire system to be ready at site. The validator also enables flexible binding with DCS at any stage of SAT. The combination of the newly designed technologies and the automation design suite will deliver expected benefits to the customers in a way previously unimagined. Early plant start-up is made possible by a combination of flexible binding and a breakthrough design of the new validator. Easy modification is enabled by following agile project execution and using the new management of change functionality. Reduced footprint is achieved in many ways through cross wiring with the N-IO, optimizing spares for unit segregation and standard panel design for easy wiring, loop-check and maintenance. Each End-User wants to receive a system on site with built-in security which is up-to-date with the latest technological trends and standards. This is a real challenge as the design decisions are usually made years in advance. 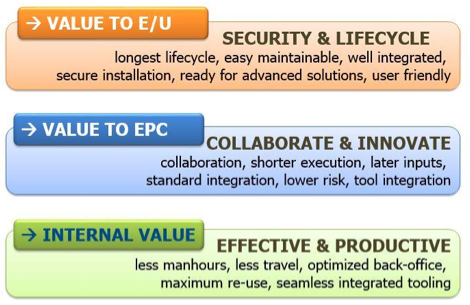 By applying Agile Project Execution principles, the YOKOGAWA project team will always keep this in mind through working with the EPC to comply and promote this principle of design. Agile Project Execution can contribute in the risk assessments and removal of waste in every project phase. The End-User is keen to start the plant Lifecycle with EPC and ICSS partners who understand the challenges of operating the plant, and who have trained their project teams in these requirements during the projects execution as their partner. When designing a new Engineering environment, the EPC's always provided feedback that providing an easier way to engineer was really not a benefit to them. This was regarded as something YOKOGAWA was supposed to provide. The EPC's were really interested when they were presented with a CENTUM VP R6 system which would provide them shorter delivery time and decoupled application engineering from hardware engineering. The most interesting feature of the new Engineering Platform is the ease to manage changes during the project. The fact that YOKOGAWA will change its way of handling changes will be very well accepted as the prime reason to select it as a system integrator with superior knowledge of their own system, the knowledge of the process, the ease to integrate 3rd party systems and the ability to deliver a validated system to site with minimum schedule slippage, flawless quality and with budget. YOKOGAWA as a quality provider of products and services believes that if it is easy for an engineer to implement, then the final user will be satisfied. The new generation CENTUM VP is equipped with a new suite of engineering tools which makes it easy to import and export instrument data to any 3rd party engineering tool available. Having a system which automatically updates the AS-BUILT drawings and Functional Design Specification will provide enormous business value to the End-Users. Every system these days will accept changes late in the project. It's the readiness of the engineers and suitability of the tools which make it really efficient and easy to use. YOKOGAWA has now made this innovative leap in the new generation of CENTUM VP. All brand or product names of Yokogawa Electric Corporation in this bulletin are trademarks or registered trademarks of Yokogawa Electric Corporation. Any company's names and product names mentioned in this document are trade names, trademarks or registered trademarks of their respective holders.